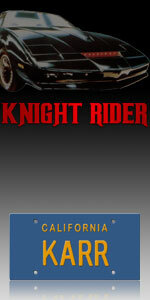 Everyone loves KITT, the super-intelligent car from the classic TV show Knight Rider, but what about KARR? The abandoned prototype version of KITT, he was as evil as a car could get, and his weapons systems made him more than a match for KITT in any demolition derby. 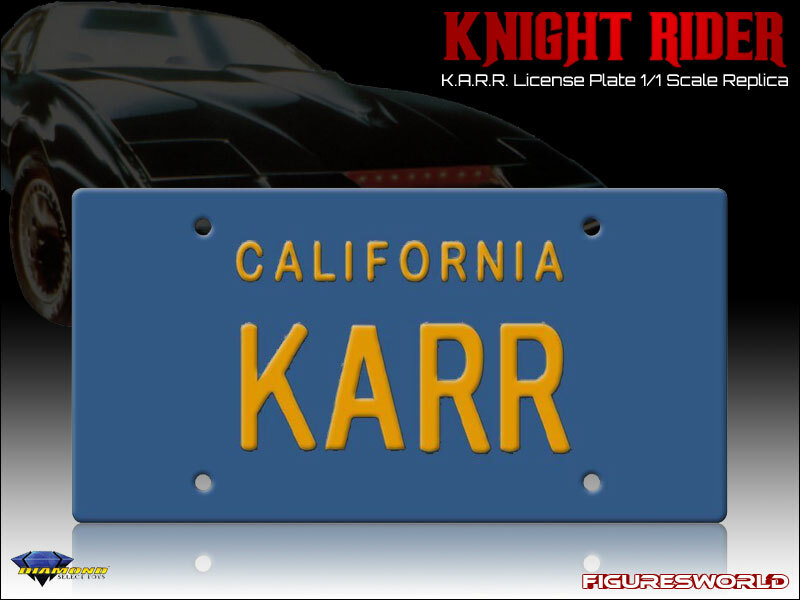 Identify your own ride as the evilest ride in history with this stamped-metal "KARR" license plate, an exact replica of the screen-used plate from the show, and watch tailgaters keep their distance!